Flexible, gas fuel line in both Medium and Large sizes. Tubing maintains flexibility and is designed specifically for Gasoline use. 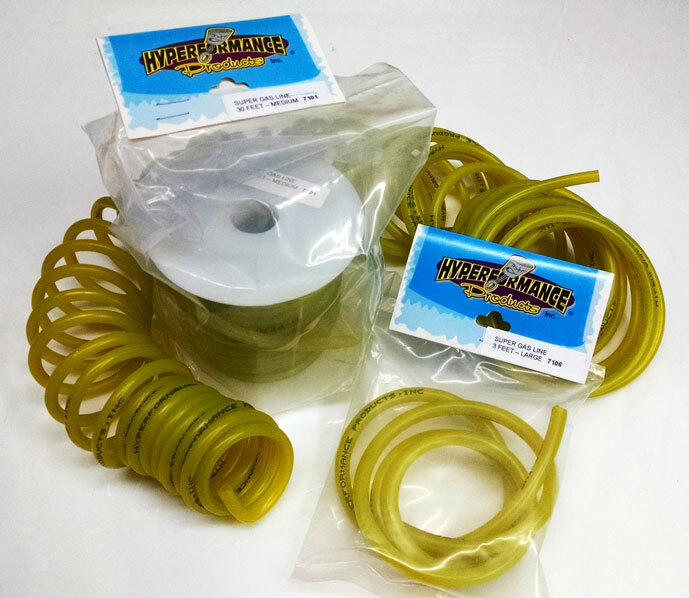 Available in 3 foot packs and 30 foot spools. Medium: .094" id. .219" od. Large: .125" id. .250" od.